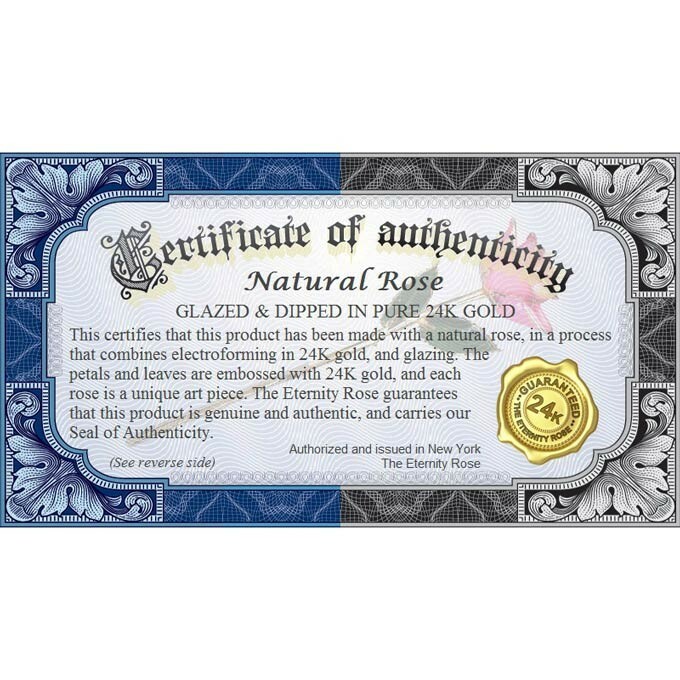 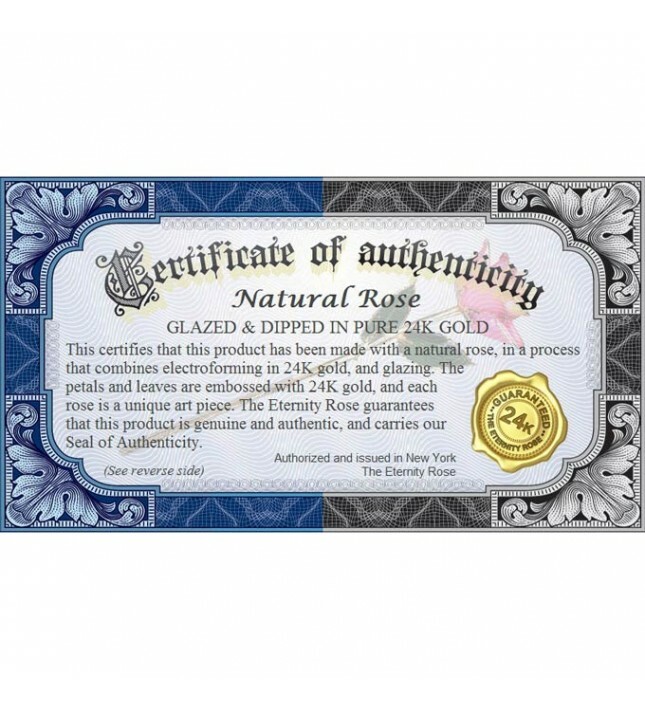 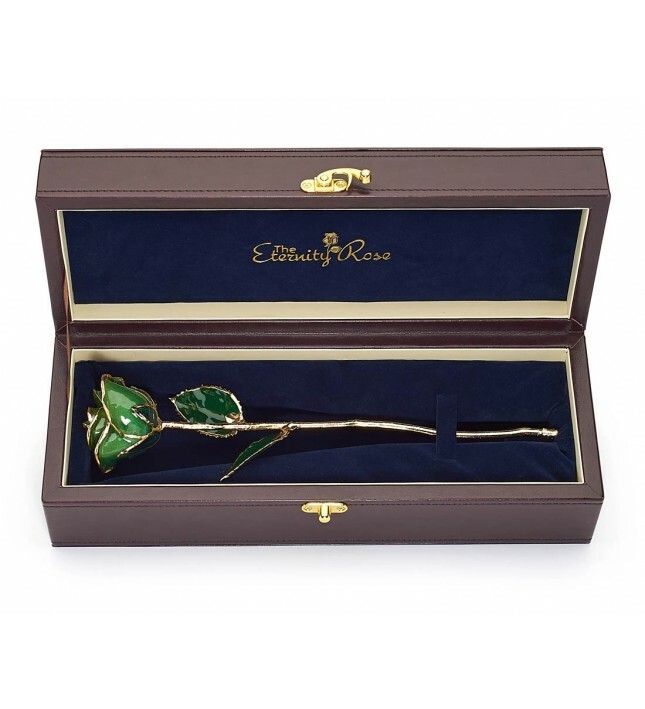 • Picked at the peak of perfection, each dark-green natural rose is glazed and trimmed with pure 24 karat gold. 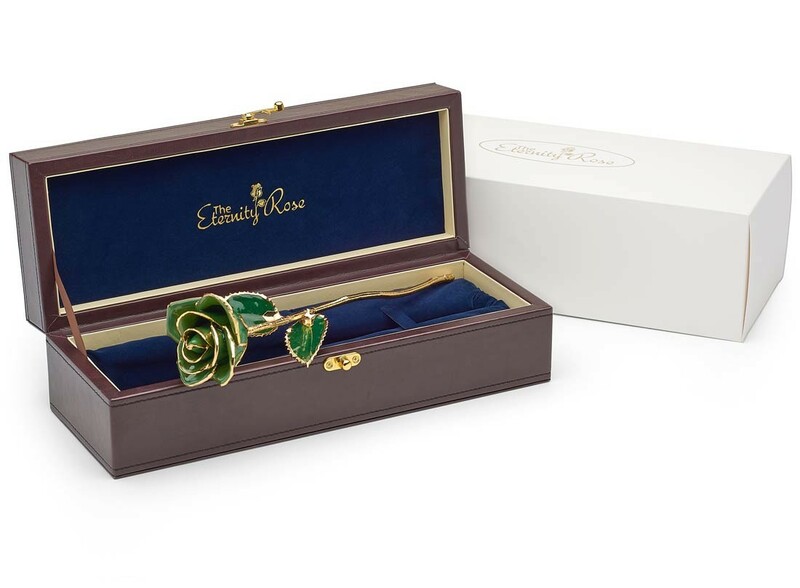 • Intricately handcrafted, the dark-green glazed Eternity Rose is the ultimate symbol of long-lasting romance and beauty. 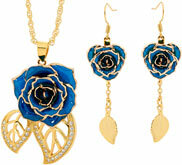 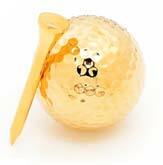 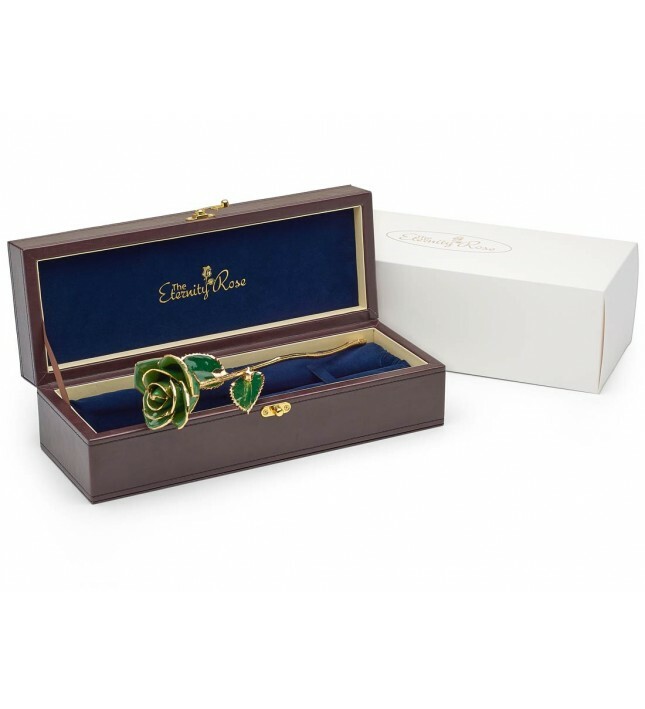 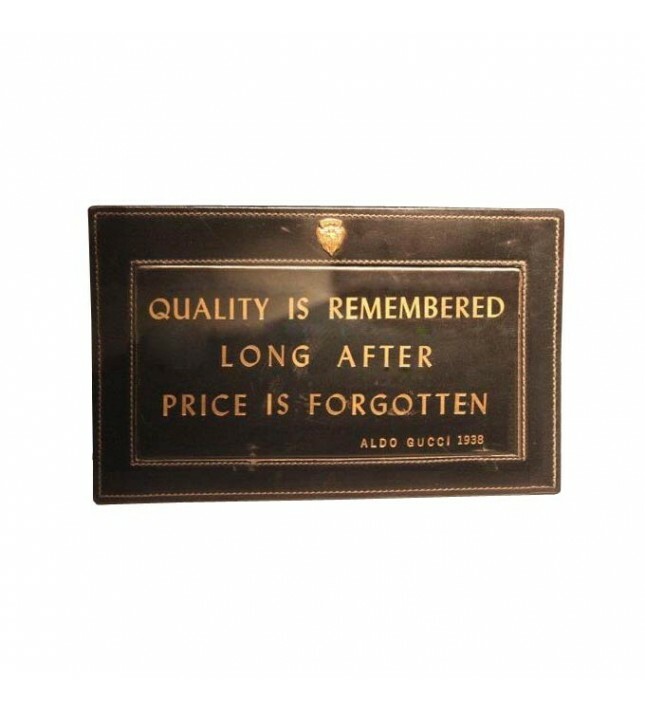 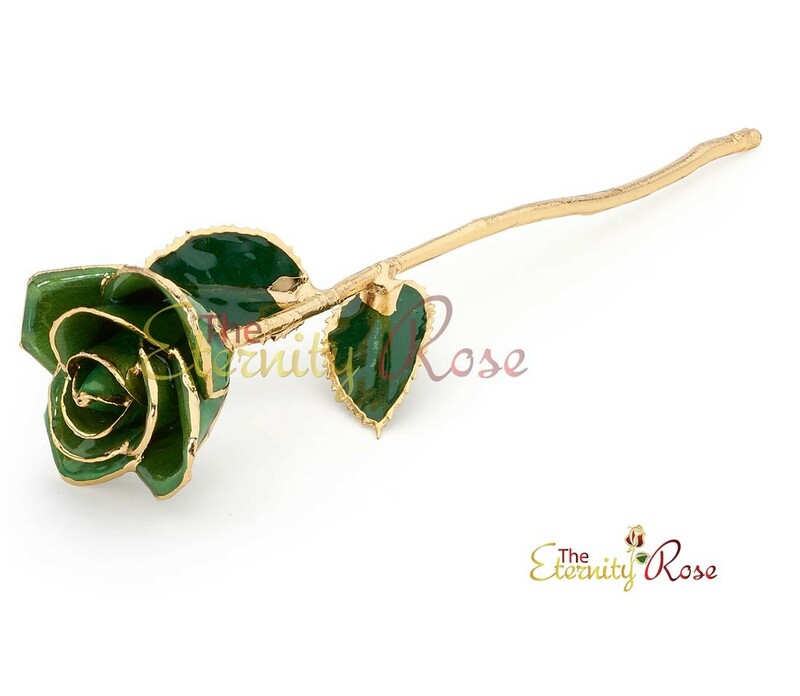 This stunning dark-green natural rose, glazed and trimmed with 24 karat gold, is a true work of art. 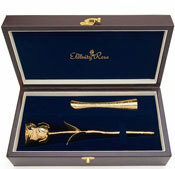 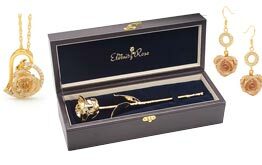 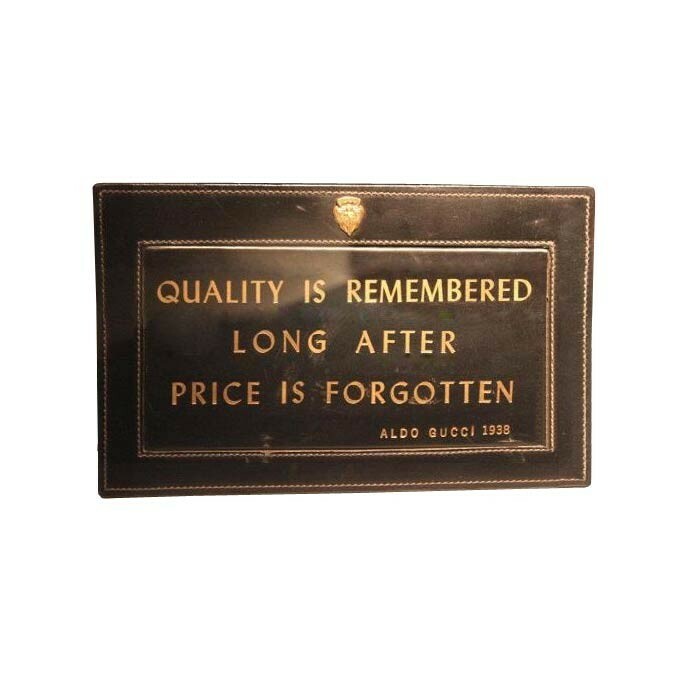 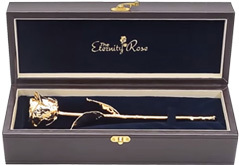 Handcrafted and entirely unique, every rose comes with its own Seal of Authenticity and features 24 karat gold detailing on the edges of its petals and leaves. 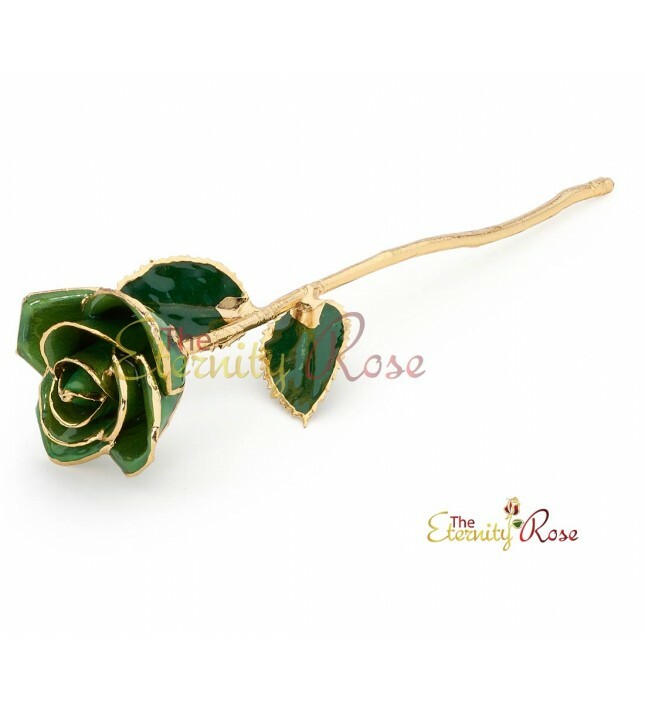 Present someone you love with a gorgeous dark-green glazed Eternity Rose today, and demonstrate to her your undying love and devotion. 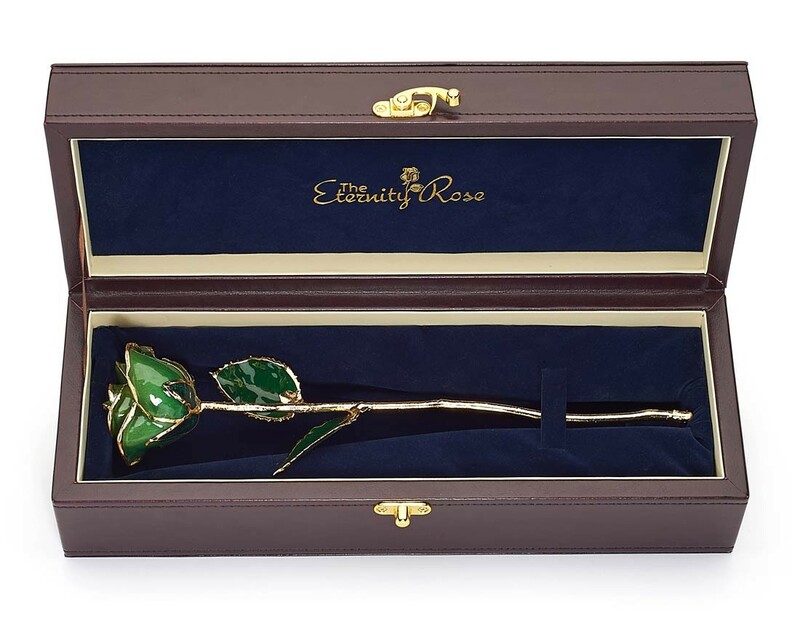 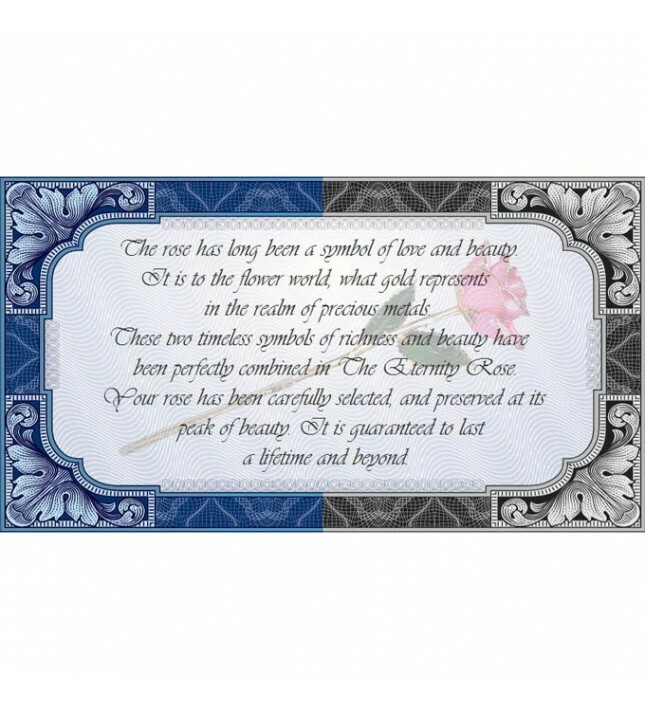 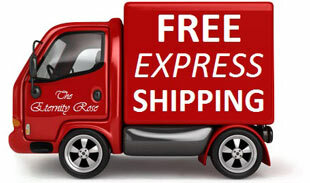 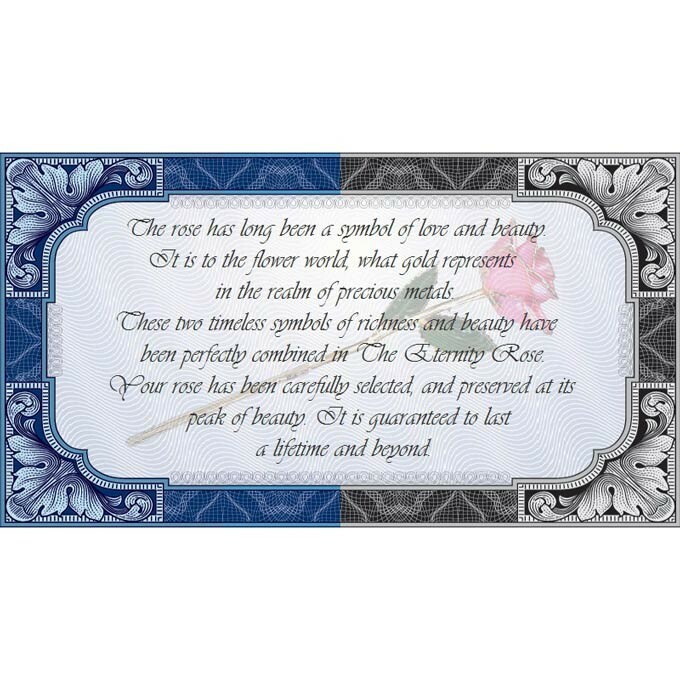 A gift that is as lovely as she is will truly touch her heart on her special day.